Opel says the Zafira meets Euro 6 emission limits. 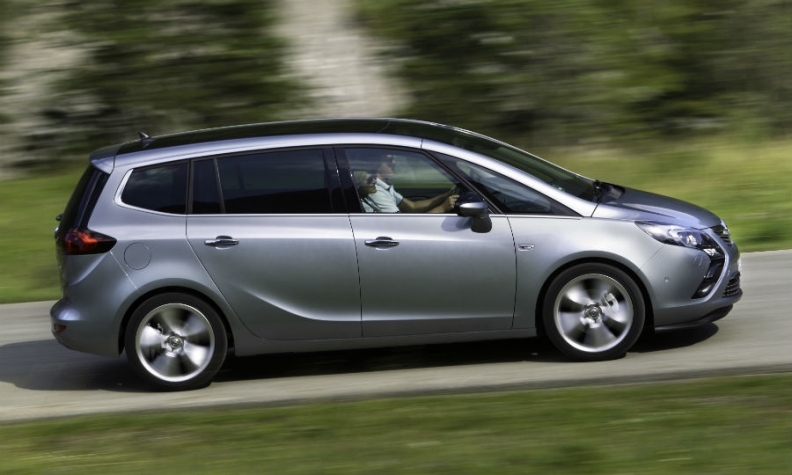 General Motors' Opel division denied violating European pollution standards after green activists claimed the automaker's Zafira minivan had excessive NOx emissions. A Zafira with a 1.6-liter diesel engine had NOx emissions up to 17 times higher than the Euro-6 limit, Germany's environmental lobby group DUH said, citing tests carried out by the University of Applied Sciences in Bern, Switzerland. The Zafira met a Euro-6 limit of 80 mg/km of NOx when its emissions were measured on a test bench with two wheels running. But with the rear wheels also turning along with the front wheels the car exceeded the NOx limit by a factor of 2 to 4, DUH said. DUH said it did not have "a technically plausible explanation" for the huge emissions difference. It said it has handed over the testing results to the German motor transport authority (KBA) with an urgent request to re-test the vehicle. Opel said the results were "false and unfounded." It said its engineers have retested a Zafira with a 1.6-liter Euro 6 diesel engine on a two-roller and a four-roller test bench and it complied with the legal limits in tests with two-wheel and four-wheel setups. This was "the only result to be expected" because whether or not the rear wheels are in motion has no influence on the emission systems, Opel said in a statement. Opel reiterated that GM has not developed software that detects whether a vehicle is undergoing an exhaust emissions test. "The DUH's findings imply a subtle suspicion of manipulation on our behalf," an Opel spokesman said. "We strongly deny this accusation." Opel said it had asked DUH several times to make the test results available before they were made public today, with no success. DUH said the emissions-testing site at the Bern school mainly performs tests for Swiss authorities. It said it planned to examine other diesel models of German and other carmakers designed to meet the latest Euro 6 emission standards.